THE HOLY GRAIL OF UNOPENED WAX PACKS!!! Isn't this a dilemma that virtually any hobbyist would be delighted to face? 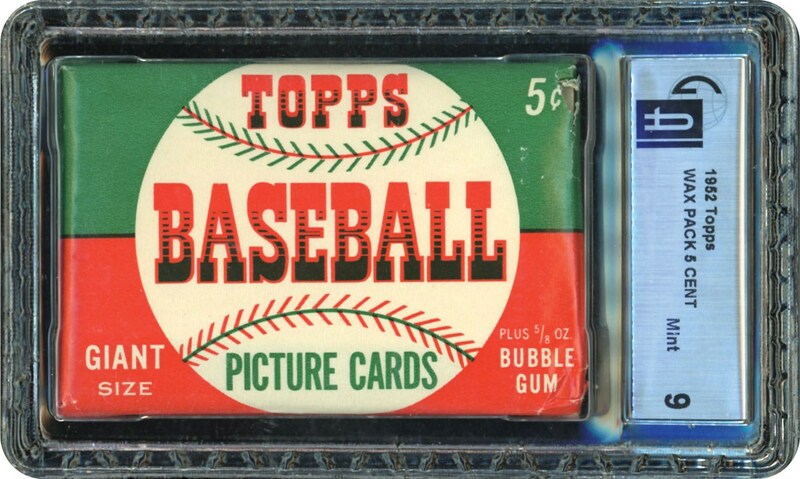 Here's a beautiful, MINT condition survivor, an unopened 1952 Topps Baseball 5¢ Wax Pack, which just happens to be the highest of its kind in the hobby. 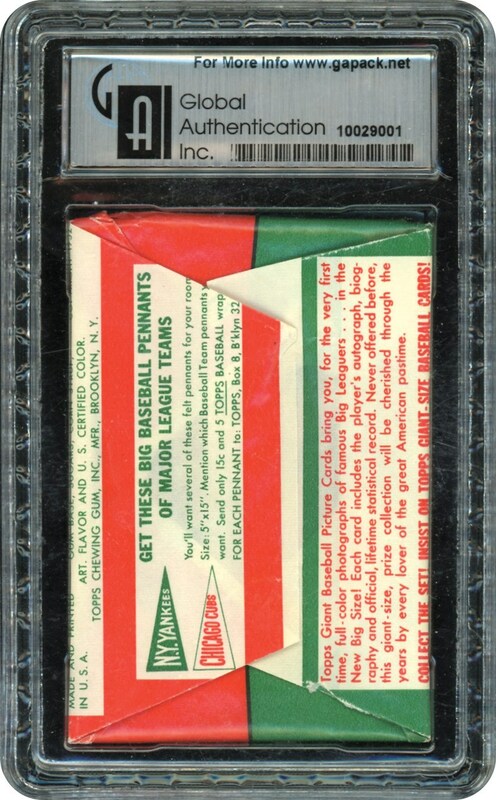 Graded MINT 9 by GAI, this Wax Pack looks like it was just pulled off a Woolworths shelf in 1952. Just viewing it inspires notions of the pristine, never-touched cards inside. Perhaps such coveted pieces as #'s 1 Pafko, 191 Berra, 261 Mays, 311 Mantle, 312 Robinson, 314 Campanella or 407 Mathews are among them. No one knows, of course, but just the idea of opening this 66-year-old time capsule is enough to inspire a flight of ecstatic imaginings. Nicely preserved, the decorative wrapper displays bold color. The only issue with this Wax Pack is the upper right corner has a slight tear due to the gum moving around in the Wax Pack. The other 3 corners are MINT and looks Pack Fresh. The small tear doesn't detract from the cards. The winning bidder can make the decision to open the package or just enjoy the sight of it. Either way, the offered Pack is full of sheer excitement.